Even if you don’t like raw tomatoes in salads, you might end up liking this savory side dish: a honey-balsamic vinaigrette and a full hour of roasting in the oven turn up the flavor of ordinary tomatoes into something just a little bit special. The final product is great for adding to a big pile of salad greens or serving as a side with chicken. If you’ve been craving pizza or Italian food generally, it’s a wonderful healthy substitute, since it delivers that tomato-oregano-garlic flavor minus a pile of pasta or a greasy pizza crust underneath. Conveniently enough, tomatoes are also one of the few vegetables that actually get more nutritious when cooked. 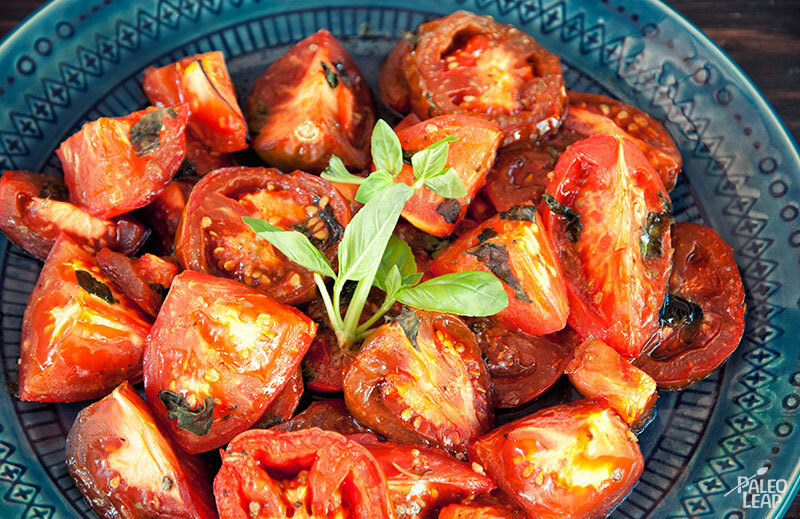 Cooking increases levels of lycopene, the antioxidant responsible for the tomatoes’ bright red pigmentation. For best results, of course, use fresh tomatoes straight from the vine: at this time of year, they should be easily available at the farmers’ market or even the grocery store if you have a good one. You can use whatever type of tomatoes you like, or even a mix of different types; just cut them into roughly equal pieces so they cook evenly and all end up equally delicious when you’re ready to dig in. 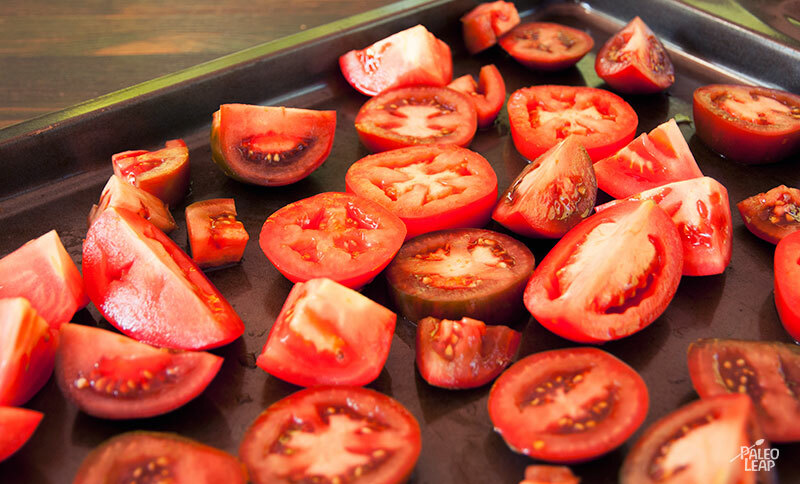 Place the sliced tomatoes on a baking pan. In a bowl, make the vinaigrette by combining all the remaining ingredients. Mix well and season to taste. Drizzle the vinaigrette over the tomatoes and place in the oven.